Malan, Henri Abraham César. The family of Malan traces its origin to the valleys of Piedmont. A branch of it settled at Mérindol, in Dauphiné, but was driven from France by the persecutions that followed the Revocation of the Edict of Nantes. Pierre Malan, after seeing his sister fall a victim to persecution, left Mérindol (1714), and arrived at Geneva (1722). 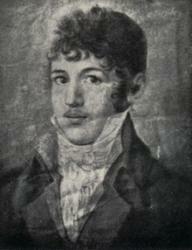 Henri Abraham César Malan was born at Geneva in 1787. After an education at the College, he went to Marseilles, with the intention of learning business: but, soon after, entered the Academy at Geneva, as a preparation for the ministry, to which he was ordained in 1810. He had been appointed one of the masters at the College in the previous year. The National Church of Geneva was at that time almost Unitarian, and Malan's convictions were in accord with it. But the great movement known as the Réveil, of which the first products were the dissident church of Bourg de Four and at a later date that founded by Malan himself, and which finally imbued the whole Swiss Church with its spirit, was silently preparing itself. The germ of the movement may be traced in the Société des Amis (1810), of which Empeytaz and A. Bost were leaders; and in Malan's independent attainment to the doctrines of the Divinity of the Saviour and the free gifts of salvation through Him (1816). But the human agency, which gave it force, and determined its Calvinistic direction, was the visit of Robert Haldane (in the autumn of 1816), to whom not only these pioneers of the movement, but F. Monod, E. Rieu, Guers, Gonthier, Merle d'Aubigné, and others, always pointed as their spiritual father. Empeytaz and others sought to attain enfranchisement by the establishment of the "petite Eglise of Bourg de Four." Malan wished to reform the national Church from within: and a sermon at Geneva, which brought on him the obloquy of the professors and theologians that composed his audience, and which Haldane characterized as a republication of the Gospel, was his first overt act (Jan. 19, 1817). But the opposing forces were far too strong for him. The Venerable Company excluded him from the pulpits, and achieved his dismissal from his regentship at the College (1818). In 1820 he built a chapel (Chapelle du Temoignage) in his garden, and obtained the licence of the State for it, as a separatist place of worship. In 1823 he was formally deprived of his status as a minister of the national Church. The seven years that succeeded were the palmy days of the little chapel. Strangers, especially from England, mingled with the overflowing Swiss congregation. But (in 1830) a secession to Bourg de Four, and then the foundation of the Oratoire and the Société Evangelique, which in 1849 absorbed the congregation of Bourg de Four under the title of the Église Evangélique, thinned more and more the number of his adherents. His burning zeal for the conversion of souls found a larger outlet in long tours of evangelization, subsidized by religious friends, in his own land and Belgium and France, and also in Scotland and England, where he had friends among many religious bodies, and where he preached to large congregations. The distinguishing characteristic of these tours was his dealing with individuals. On the steamboat or the diligence, in the mountain walk, at the hotel, no opportunity was lost. On one occasion an old,man whom he visited drew from under his pillow a copy of his great hymnbook, Chants de Sion, 1841, and told him how he had prayed to see the author of it before he died. It is as the originator of the modern hymn movement in the French Reformed Church that Malan's fame cannot perish. The spirit of his hymns is perpetuated in the analysis of Christian experience, the never-wearied delineation of the hopes and fears, the joys and sorrows of the believer's soul, which are still the staple of French Protestant hymns. To this was added, in Malan himself, a marked didactic tone, necessitated by the great struggle of the Réveil for Evangelical doctrine; and an emphatic Calvinism, expressing itself with all the despondency of Newton and Cowper, but, in contrast with them, in bright assurance, peace and gladness. French criticism has pronounced his hymns unequal, and full of literary defects; but their unaffected freshness and fervent sincerity are universally allowed. In the Chants de Sion, hymns 20, ”Hosanna! Béni soit"; 165, “Mon coeur joyeux, plein d'espérance"; 199, "Du Rocher de Jacob"; 200, "Agneau de Dieu"; 239, "Trois fois Jehovah," are in every Protestant French hymnbook; and several others are very widely used. Malan was born in Geneva, Switzerland and was a believing Christian from childhood. After completing his education, he went to Marseilles, France, intending to learn business. But soon after, he entered the by then rationalistic Geneva Academy in preparation for the ministry. He was ordained in 1810. Malan was suspended from ministry in 1818 for a forthright sermon preached in 1817 on justification by faith alone (doctrinal preaching was frowned upon at the time). Following an apology and restoration he was again suspended for similar preaching and formally defrocked in 1823.